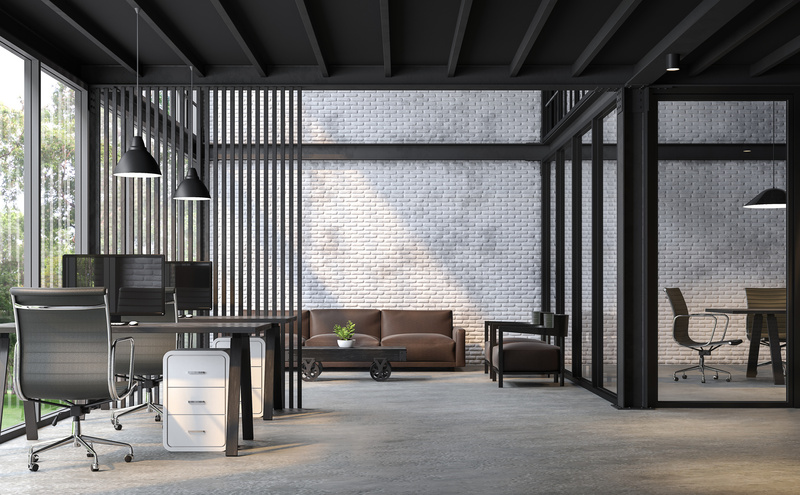 Industrial loft style office 3d render.There are white brick wall,polished concrete floor and black steel structure.Furnished with dark brown and black leather furniture. Published by Proceed on November 8, 2018 . Full size is 1752×1084 pixels.